Although there have been significant successes in video games such as Atari, Mario, Quake III Arena Capture the Flag, and Dota 2, until now, AI techniques have struggled to cope with the complexity of StarCraft. The best results were made possible by hand-crafting major elements of the system, imposing significant restrictions on the game rules, giving systems superhuman capabilities, or by playing on simplified maps. Even with these modifications, no system has come anywhere close to rivalling the skill of professional players. 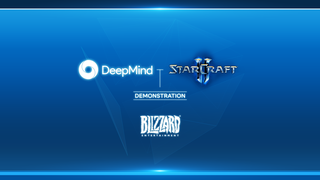 In contrast, AlphaStar plays the full game of StarCraft II, using a deep neural network that is trained directly from raw game data by supervised learning and reinforcement learning.